Blog | Why Do People Lose Their Keys? One would think that keys, which provide the fundamental security of properties, should be taken care of by people. They are not. People lose them all the time. Do we have as an excuse their tiny size? It could certainly be a good reason, but we hardly carry one key alone. On the contrary, we carry a huge keychain with multiple keys and big elephants, cars or other soft toys to make our day and find them easily within our bags. We still lose them, forget them or allow them to get stolen. Key replacement is the first thing we ought to do, but is it enough? We don't have a specific spot, where we can place them at home. We leave them on tables of cafes, desks of colleagues, in the convenient store or the bank. We rarely make sure to get duplicates. If you would have a second car key made, for example, you would feel safer and perhaps avoid an auto lockout. We leave them exposed to kids and pets. They suddenly become their toy and chances are they are going to hide them or lose them. Lost house keys can make your life difficult or put the security of your home in danger. We leave them in the car seat, where they can be found by our children and become their new game or their nightmare if they put them in the ignition. The ignition car key must always be placed somewhere out of the children's reach. We never notice their distortions or damages and we don't even know that we have to replace them. First of all, having the locks replaced is a smart move because you will ensure that keys and locks are modern and provide better security. At the same time, you ought to make duplicates of the significant ones as the house, car and office keys and keep them in different places. 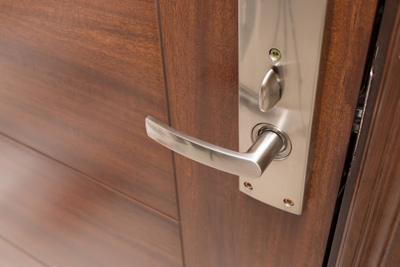 Their importance is beyond words and, hence, lock replacement means nothing if you don't actually take care of the keys in terms of keeping them in a safe place, where you can be sure that your home security will never be compromised.